KARAMOJA – The Government and United Nations World Food Programme (WFP) are investigating whether there is a connection between recent illnesses reported in two districts in Karamoja and Super Cereal, a fortified blended food distributed by WFP for prevention of malnutrition. On Tuesday, 12, 2019, the Ministry of Health received an alert through its surveillance teams on the ground in Karamoja about suspected food poisoning and began investigations. Some 262 people have been affected since March 12 with symptoms of mental confusion, vomiting, headache, high fever, and abdominal pain. A total of 252 of those were discharged following successful treatment at health facilities in Amudat and Napak. No new admissions have been reported since Monday 18 March. Seventy-seven of the 262 people were admitted in Alakas, Lokales and Karita health centres in Amudat district while 185 were admitted in Lotome, Lorengechora, Kangole, and Apeitolim health centres and Matany Hospital in Napak district. The admissions took place between 12 and 16 March. There are unverified reports of three deaths, one of them at Matany Hospital, Napak District and other two in the communities. One male passed away in Lorengechora, Lookit village, Napak district and another female in Amuna village in Karita Sub County, Amudat district. All the deaths took place on March 16, 2019. The Government’s investigative team are in the communities to verify the two none facility deaths. Samples of Super Cereal stocks and water were taken from the affected areas including blood, vomitus, and urine from patients and are currently being analyzed at the Directorate of Government Analytical Laboratory and the Central Public Health Laboratory. Food samples have been sent to a laboratory in Mombasa, Intertek Kenya LTD and another in Johannesburg Intertek Testing Services, S.A. LTD, for further analysis. Preliminary results of the government investigation are expected in the next 24 hours while results from abroad are expected within the next 5 to 7 days. Mr. John Byabagambi, the Minister for Karamoja Affairs, Dr. Henry Mwebesa, the Director General of Health Services, Mr. El Khidir Daloum, the Country Director of WFP, and officials of the Uganda National Bureau of Standards visited the affected villages, in Amudat and Napak district on Monday 18 March, and spoke to the affected people and health workers. The team found that the problem remains localized in only two of the eight districts of Karamoja. 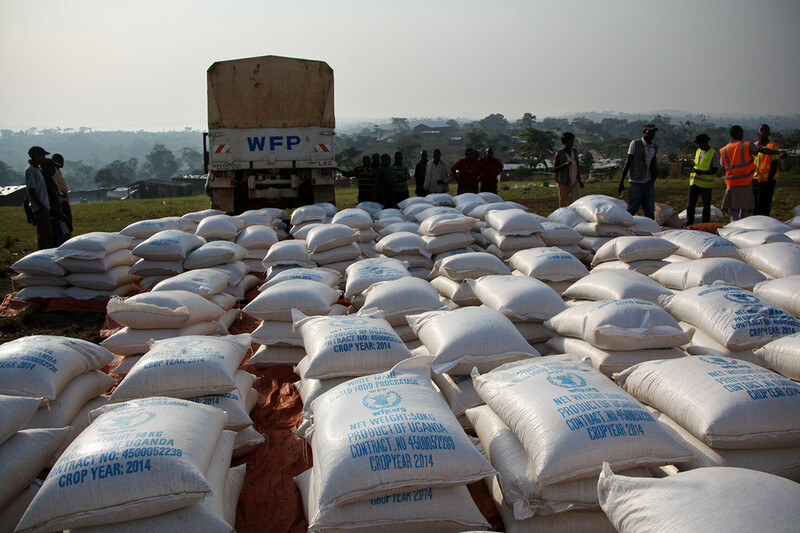 On Friday 15 March, WFP, working with the Government, ordered the immediate suspension of Super Cereal distributions in Karamoja and the refugee-hosting districts where it’s distributed. This is as a precautionary measure until investigations are concluded. WFP is working with district authorities to retrieve all Super Cereal stocks from health centres and communities.